Soon after the precious metal was found, the Spanish started mining in this area. First, they ensclaved the indigenous population and forced them to work in the mines. When, due to horrible working conditions, the natives had died, they brought in slaves from Africa. Eventually, Bolivia got independence and slavery was abolished, but working conditions have not improved much. Eight million people have died in those mines until today. 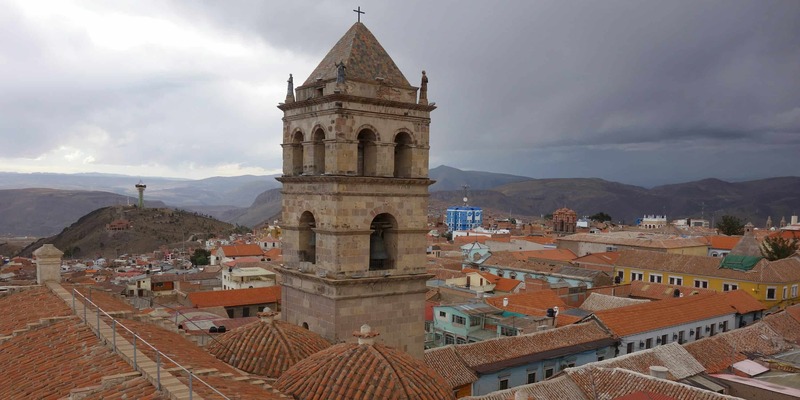 These days, Potosi is a beautiful city with a colonial centre that is well worth a visit. Some mines are still active and can be visited. But besides mine tours, there are plenty more things to do in Potosi. A visit to the silver mines is fascinating, eye-opening and terrifying at the same time. We went with Big Deal Tours, which is the only tour operator that employs ex-miners as guides. Our guide, Wilson, started by taking us to the miner’s market, where you can buy coca leaves or dynamite as gifts for the miners. Yes, dynamite. You just walk up to one of the stalls, say that you want to buy dynamite and pay less than 4$ for it. Next stop was one of the plants where minerals are separated from the rocks, before we went to the actual mines. We didn’t have to go in far to see how horrible the working conditions are. Ten meters along, I had already hit my head multiple times. I wouldn’t be surprised if I left some permanent damage to my helmet. We stopped at the sculpture of a mining good before going on, sometimes on my knees because the tunnels were so tiny. At an altitude of 4400m above sea level, the air is already thin. Now imagine going into a mine without a proper ventilation system. And then add the dust in the air and you will understand why we eventually got to the point where every breath was painful. The high iron concentration of the rocks made the air smell and taste like blood and even a day later, I have not gotten rid of the smell in my nose. The worst part was that this was an active mine. There were people working in there, adults and children, some only ten years old. None of them grow old. If they don’t die in accidents, they will die from lung damage. Or, as our guide said, ‘one day you will cough blood and then you’re dead’. If you’re not claustrophobic (do not, under any circumstances sign up for a tour if you are), I can highly recommend those tours. 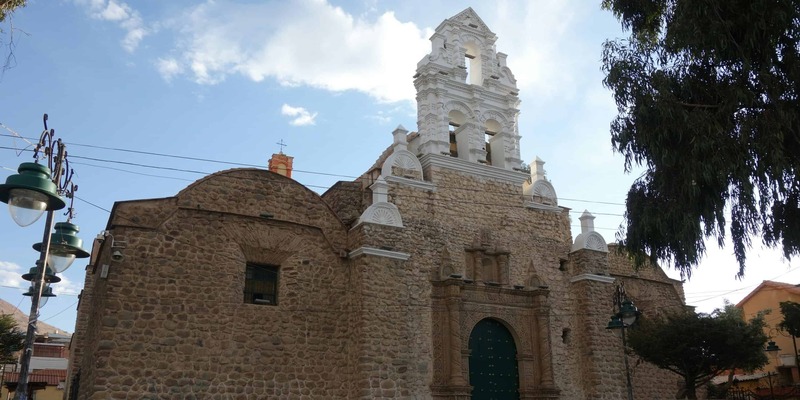 They are eye-opening and the most unique experience in Potosi. The San Francisco monastery can only be visited on Spanish guided tours. Even if you do not speak a single word of Spanish, you should sign up for one. The monastery is a beautiful old building, with paintings on almost every wall. We visited the courtyard, the church and the crypt, where you can still see the bones of some of the monks who once lived here. But the biggest surprise came in the end, when our guide walked with us to the top of the roof. From up there, we had an amazing view of the city, the mountains and even the silver mines in the distance. It is worth doing this tour for the view alone. You won’t regret it. 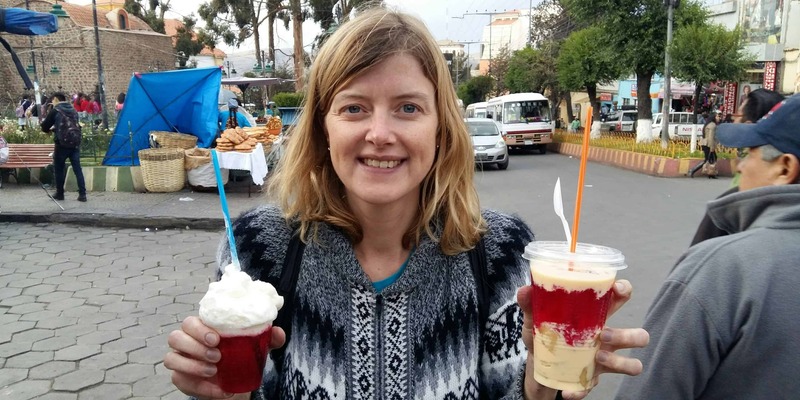 As we were driving from San Pedro de Atacama to Uyuni, our guide asked as about our travel plans and, the moment he heard we were going to Potosi, explained to us that we absolutely had to try Kalaphurka. 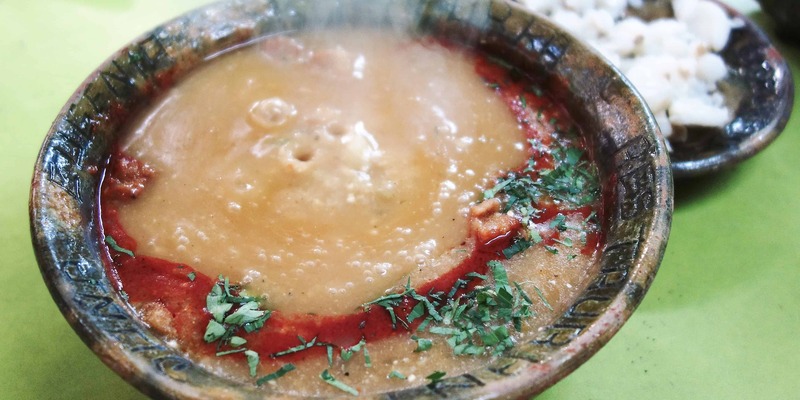 Kalaphurka is a soup that is usually eaten for breakfast. You will have a hard time finding it in restaurants after 11am. The soup consists of potatoes, corn, meat and lots of chilli and is kept warm by a hot volcanic stone that is dropped into it just before it gets served. When we got it, the soup was boiling. It was delicious! Finding Kalaphurka in Potosi is surprisingly hard. Your best bet is to go towards the cementerio, where you will find restaurants that serve the dish. We ate it at Doña Eugenia, a place that was filled with locals when we arrived. The Casa de la Moneda, the national mint of Bolivia, is where the silver from the mountains was processed and pressed into silver coins. These days, it serves as a museum, a reminder of a time when Potosi was one of the richest cities in the world. The Casa de la Moneda is open every day except for Mondays. 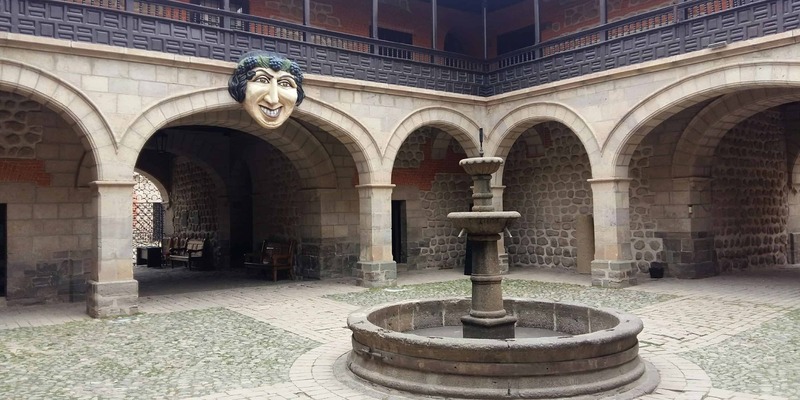 My guidebook recommends to go for the Spanish tour, even if you barely speak any Spanish, because it is supposed to be a lot longer than the English one. We took the tour in Spanish but still only saw half of it because they made us join one that was already halfway through. My advise would be to arrive shortly after it opens to make sure the same thing doesn’t happen to you. 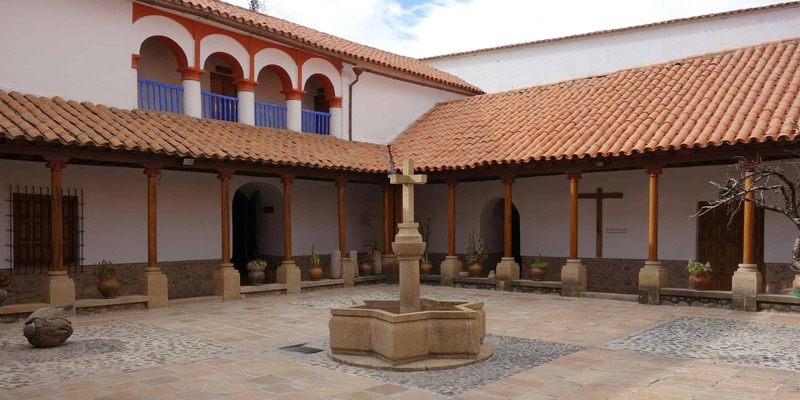 The monastery of Santa Teresa can only be visited on guided tours. It is well worth visiting, even if you do not speak Spanish (you can find English explanations inside most rooms). The tour takes you through the beautiful building. Along the way, you will see religious paintings, living quarters of the Camelite nuns and clothes adorned with gold and silver threads. Nuns were admitted at the age of 15. Since the monastery could only hold 21 nuns, often, they would have to wait for someone to die before becoming part of the Orden. Back then, being a camelite nun was an honor and the girl’s family had to pay an admittance fee of what would today be 100.000$. 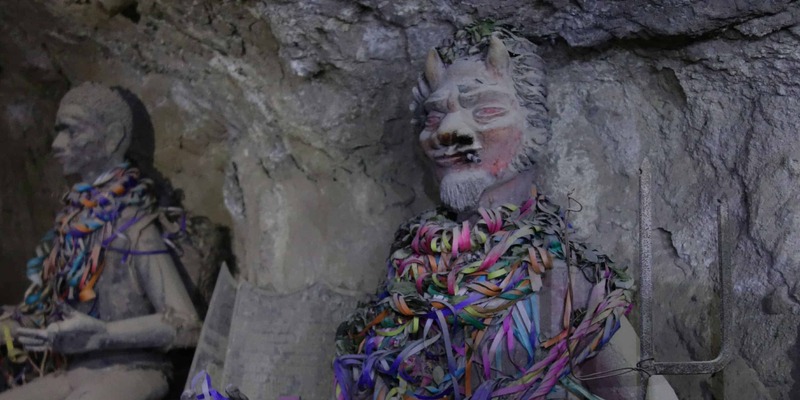 In exchange, the girl would spend a life behind the walls of the monastery, never getting out – even when they died, the nuns were buried inside the building. Potosi is home to a huge number of churches. Some, like San Lorenzo, also function as museums and can be visited every day. Others only open for mass. We managed to arrive at the Iglesia de Jerusalem just in time for mass. The building is beautifully decorated from the inside and they played nice music during the service. Ask locals or the tourist information about opening hours of churches. Potosi is a great city to have streetfood. Almost everywhere, you will find little stalls with vendors selling food and drinks. We had freshly squeezed orange juice, cake, chocolated-coated grapes and jelly. Locals seem to be obsessed with jelly and you can buy it everywhere. Besides cakes and sweets, you can also find many savoury snacks in the streets of Potosi. Have fun trying them all!